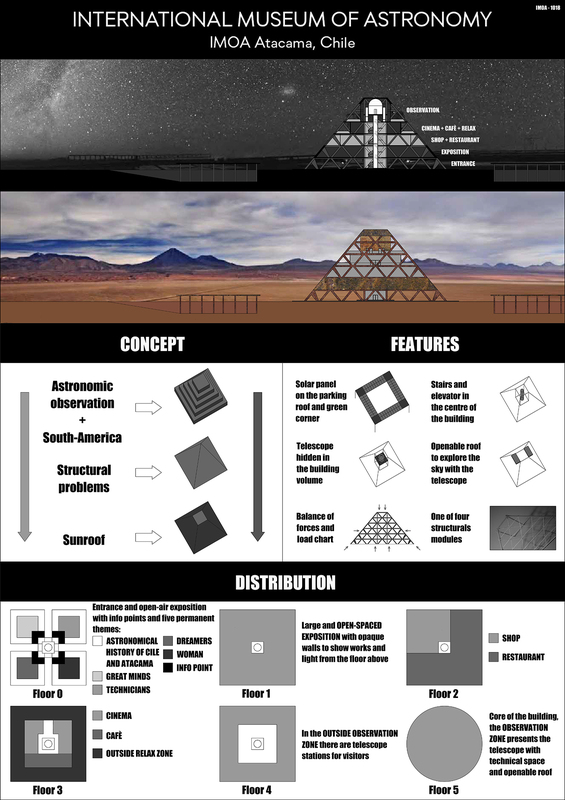 The idea at the base of the project consists in the observation of the sky in way similar to the ancient pre-Columbian populations, but through tools that to the epoch they didn't exist. The structure is a trunk of pyramid constituted by beams reticolari in steel and four central pillars to which the plans of the building are anchored. To the center of the building the staircases and the elevator are found, while to every plan it corresponds one or more different functions. The museum begins to the outside, particularly to the plain earth with a temporary exposure.